Did you know Peanuts are GOOD FOR YOU? Really!! Not only do they taste great, but there are many benefits to adding peanuts to your daily diet. 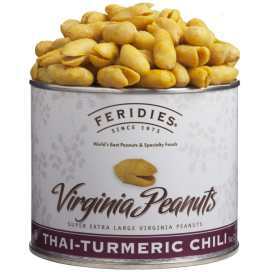 FERIDIES® super, extra-large Virginia Peanuts are fresh, flavorful and pack a distinctive crunch! 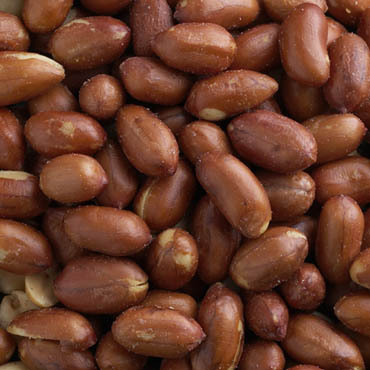 Enjoy a wholesome, healthy, all natural snack by adding peanuts to your every day diet. If you are looking for a gift, we offer a large selection in a variety of price ranges or you can Create Your Own. 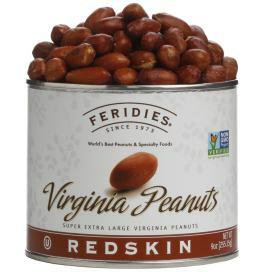 As you browse our site, you will discover all that there is to know about FERIDIES®, The Peanut Patch Gift Shop (located at 27478 Southampton Pkwy, Courtland, VA), Virginia Peanuts and other specialty nuts. Snack Mixes - We have a variety of sweet and savory mixes for parties, gifts, and for personal snacking. You can find the perfect snack mix with our selection. Cheese Straws - Who doesn't love cheese straws? They are a great hors d'oeuvre or appetizer for your next party or holiday gathering. Gourmet Nuts - We do not just carry the best peanuts, but also offer cashews, pistachios, and almonds so you can have a variety of flavors available at your events. Peanut Candies - We've created a delicious assortment of candy recipes featuring peanuts such as peanut brittle crunch, honey roasted peanuts, butter toffee peanuts and many other seasonal flavors. Snack and Trail Mixes - We love trail mix and we think you will love ours, too. Make sure you purchase enough for your personal stash as well as for your guests. Virginia Ham - Virginia is not only known for having the best peanuts, but also delicious Virginia Country Ham. This southern treat is great for the holidays such as Easter, Mother's Day and Thanksgiving.